Brownstown Central Middle School. I kicked off a busy week with the bright and impressive students at Brownstown Central Middle School. Thank you for the thoughtful questions and conversation on what I’m working on as your representative. It’s always encouraging to see our next generation of Hoosier leaders engaged in current events affecting our community. Second Chances. The Centerstone program at the Jackson County Sheriff’s Department is all about second chances. 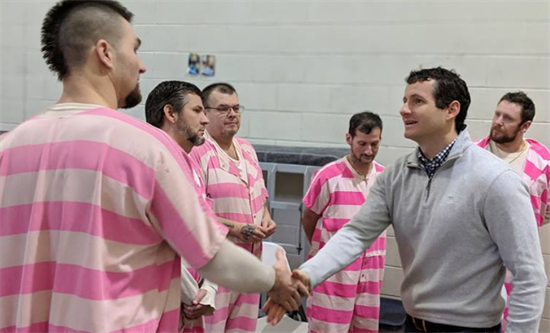 I spent time with the men participating in this program, which offers tools and training to help them get clean, find work, reconnect with loved ones, and live a fulfilling life after they have served their time. 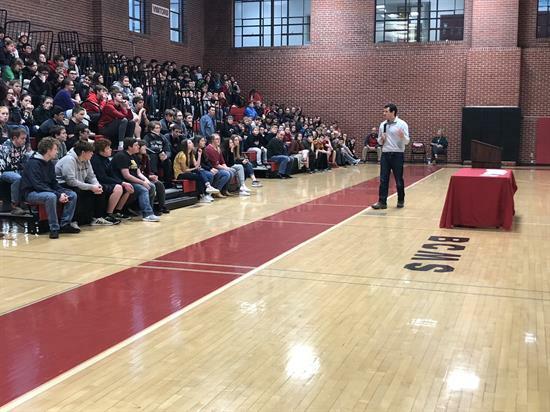 What I heard from many of them is this is the first time in their lives when they have opened up and reflected on why they were using drugs – and what in their lives they were running from while using. Our conversations reflected Centerstone’s success in creating a place where participants can share their feelings, their goals, and their intentions, and find the inspiration to succeed with a second chance. Goecker Construction. Tom Goecker is a third-generation business owner of Goecker Construction, which opened over 50 years ago in Seymour. We had a great conversation on what Congress can do to ensure our country’s regulations are encouraging economic growth. As a member of the House Financial Services Committee, I look forward to sharing Tom’s thoughts with my colleagues. Dickson’s. Dickson’s is a Seymour manufacturer and supplier of products for the Christian gift market. 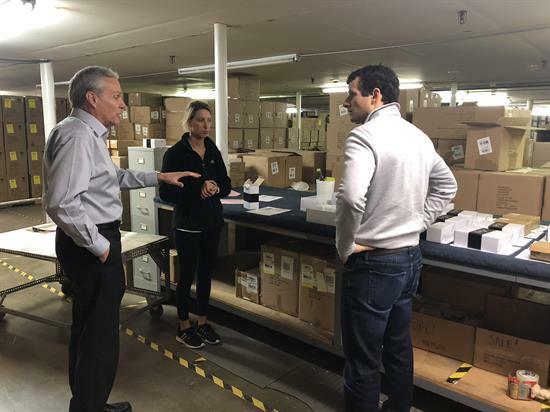 I toured the facility with Steve Vandivier, President of Dickson’s, and his hardworking employees. 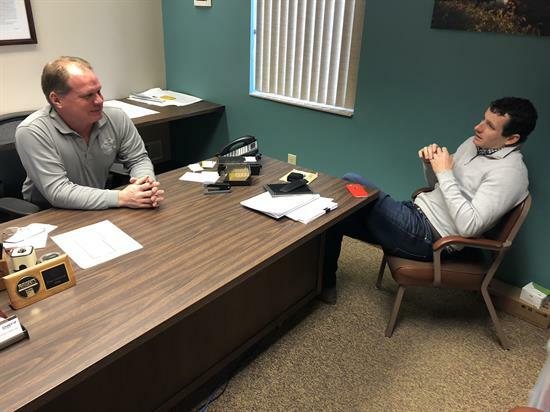 Steve shared his perspective as a small business owner on tariffs, the cost of healthcare, and taxes, and what I can do in Congress to fight increasing costs to our small community employers. CDL Training. Last year, I introduced the DRIVE-Safe Act, a bill to increase the availability of high-paid, high-skilled jobs to more Hoosiers looking to begin a successful career in the trucking industry. 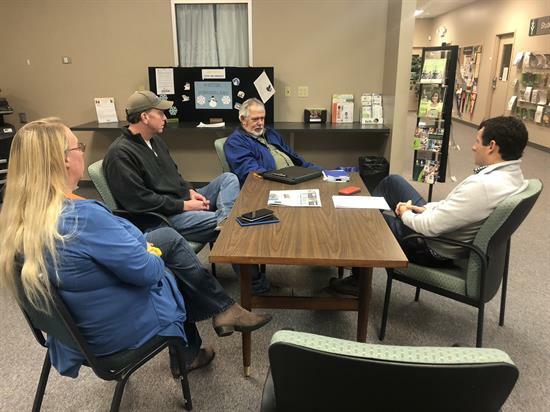 It was great to sit down with Jeff, Karen, and Matt at the Indiana Commercial Drivers License Training Center, learn about their curriculum, and discuss the challenges of getting individuals into CDL programs.